Everyone has New Year resolutions, and two in five people mentioned that they want to spend more time with their friends and family. For many of us, that means that part of our family could be in Scandinavia or another part of the US and we’re somewhere in the middle! If you’ve been overwhelmed by the number of options or want to know the best perks of each airline, you’re in luck. This article is going to compare the different Scandinavian airlines, their destinations, what’s included, and the best perks for each company. Soon you’ll be buying a ticket to see your friends for Midsummer (if you’re not going to be in L.A. for Swedes in the States first Midsummer party) or drinking glögg with your family during Jul. Norwegian Air is the largest airline in Scandinavia and the 6th largest low-cost airline in the world. It was founded in 1993 and, like the name states, was a regional airline in Norway. 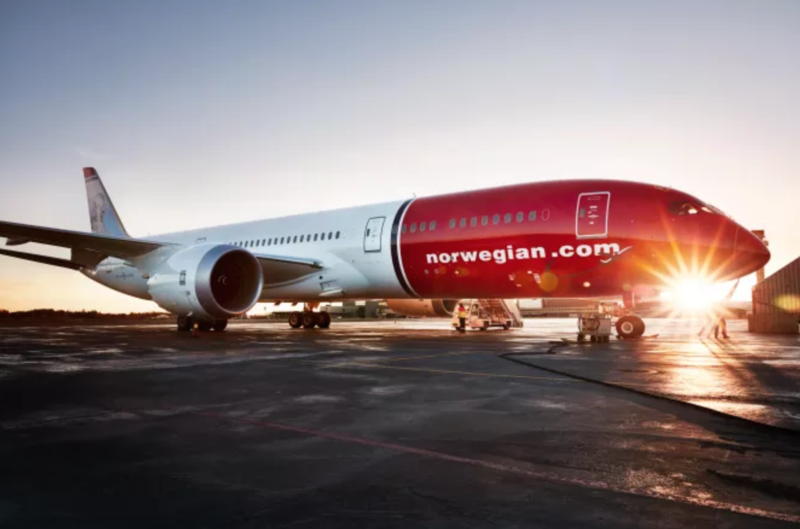 Since 2013, Norwegian has disrupted the airline market by adding long-haul flights to their itinerary and bringing a new era of low-cost travel to the world. Another fantastic bonus is that the majority of Norwegian’s fleet is eco-friendly! 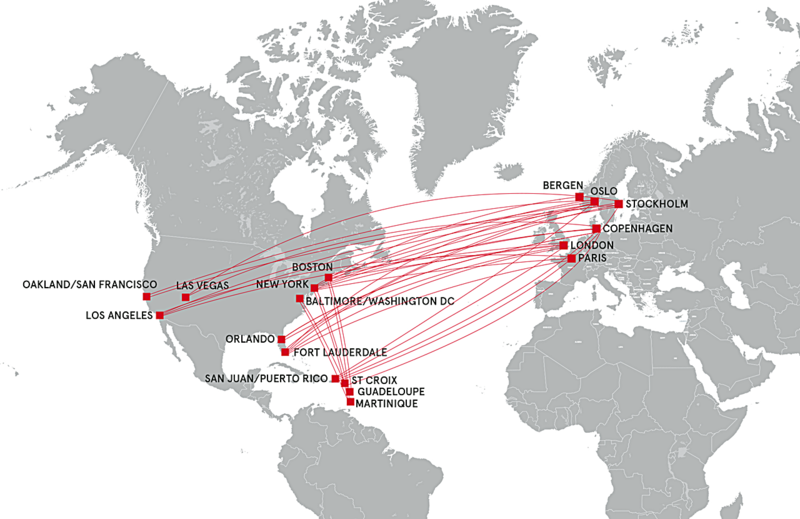 Norwegian has an excellent choice of long-haul flights from Scandinavia to the USA. They service all Scandinavian countries, which you can see below. Please see their website for a complete list. 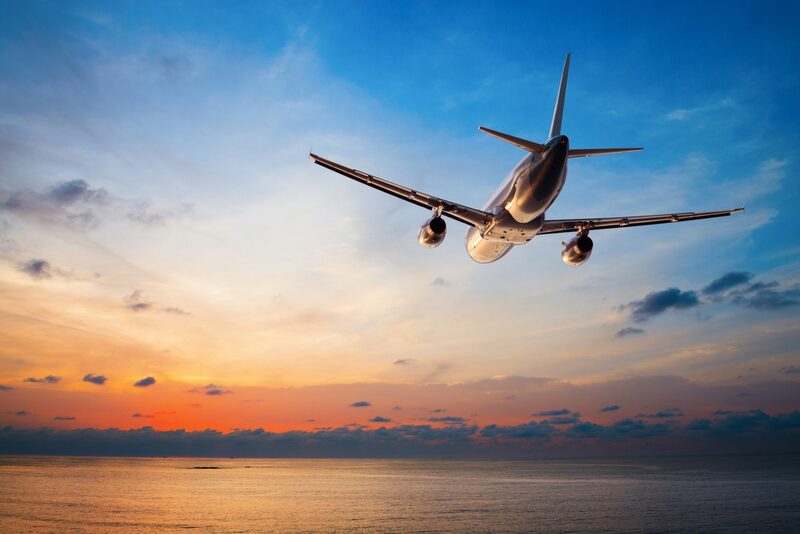 Since Norwegian is a low-cost airline, ticket prices won’t break the bank! In the basic ticket (LowFare), the only thing included is getting you from point A to point B and a 10kg carry-on luggage. If you plan to check in your luggage, up to 20kg, you’ll need to pay extra ($55USD). Likewise, you’ll need to pay to reserve a specific seat ($35USD/leg), water ($3USD), onboard meal ($35USD), headphones ($6USD) and a blanket ($7USD). WiFi is free (!) and there is an excellent selection of in-flight entertainment (about $5 per movie). There is also a USB-hub to charge electronics. We would recommend flying with a different airline if this is your first long-haul flight. You’ll be missing out on the basic amenities that most other companies have (reserved seating, food, and baggage), which might make your flight uncomfortable. If you have traveled before and are on a budget, Norwegian is an excellent choice. Many backpackers and frequent travelers love the savings and no-frills approach though. Scandinavian Airlines System, known as SAS, was created in 1946 when the three flag carriers of Denmark, Sweden, and Norway came together to form one company. SAS offers more than 800 flights daily and more than 29 million passengers travel with SAS annually, between close to 120 destinations in Europe, the US, and Asia. Likewise, SAS was voted “Europe’s Best Airline” over 4 times since 2010. Since SAS is a Scandinavian Airline, there are plenty of options to and from Norway, Sweden, Denmark, and more. SAS is an excellent choice for Scandinavia, with many tickets under $700 round-trip. Likewise, SAS has a program for youth travelers (under 26) that allows people under 26 to fly very cheap to the US, Asia, and Europe. 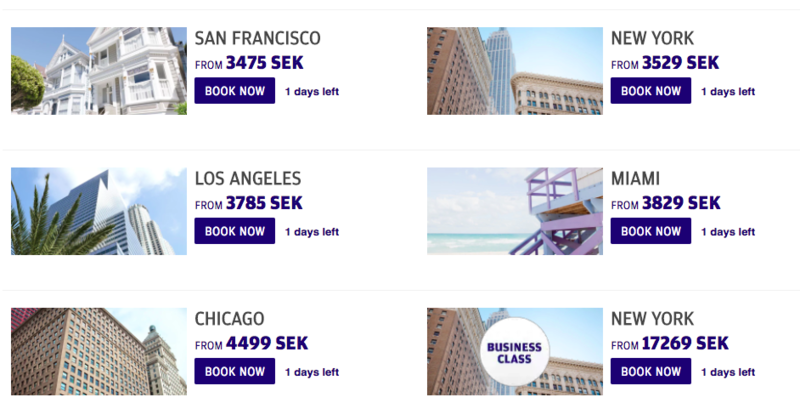 In fact, many of our editors frequently fly with SAS because of this sale and rarely pays more than $250-400 for a round trip to Los Angeles, Chicago or New York from Stockholm. followed by a three-course meal and free coffee/tea and water. All drinks served with the meals are complimentary and alcoholic drinks between meals can be purchased. Seats are free if you check-in 24 hours before departure, or they can be purchased in advance for $5-30$ depending on destination. Checked-in baggage (under 23kg) is free. WiFi is optional ($19USD), and there is an excellent (and free) selection of in-flight entertainment. There is also a USB hub to charge electronics. Overall, people rate SAS as a good airline. They have a sleek and clean design, warm hospitality, and reliable. Travelers also mentioned their useful iPhone app and delicious food. Finnair was founded in 1923 and is the 6th oldest airline in the world. It transports over 12 million passengers annually, with flights to and from Helsinki, being their most popular destination. It’s also one of the world’s safest airlines (behind Air New Zealand and Cathay Pacific)! 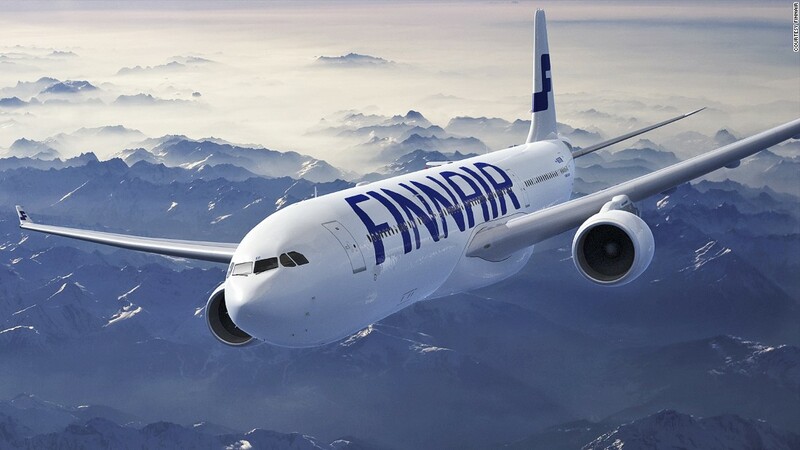 Finnair has the most flights to and from Finnish cities, along with a great selection of Scandinavian and US cities. With trips to Stockholm and Helsinki ranging from the $500s to the $700s. What’s included? On long-haul flights, such as the Helsinki to Miami one mentioned above, will include all meals, non-alcoholic and alcoholic drinks, and 1 carry-on (up to 8kg) and 1 checked luggage (up to 22kg). You can choose your seat for international scheduled Finnair flights when you book your flight, but you can also do this when checking in online or at a self-service check-in kiosk. WiFi is optional ($22USD), and there is an excellent selection of in-flight entertainment. There is also a USB hub to charge electronics. General Review: Finnair is another great airline in terms of service and flights. People really like their efficient service and reliability. Some reviews note that the staff isn’t overly friendly, which might be a dealbreaker to some travelers. The second oldest airline on our list, Iceland Air was founded in the late 1930s and only had one plane that did short trips in the northern part of the island. 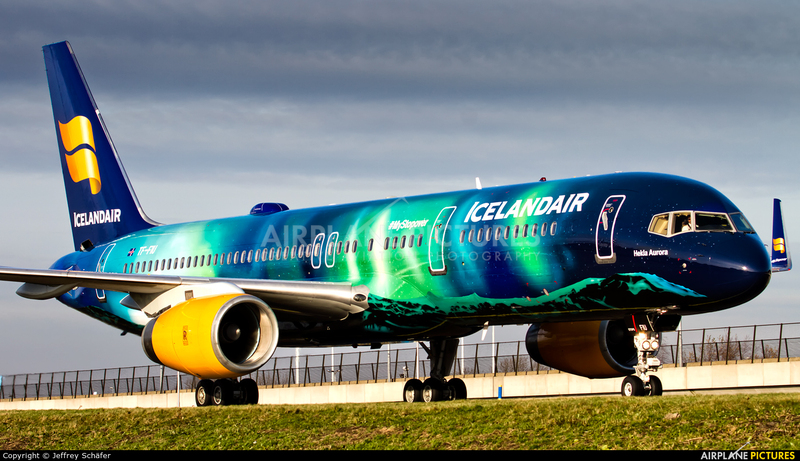 Now it is the flagship airline of Iceland and has flights to 40 cities in 16 countries. Iceland air has fewer destinations than the majority of other airlines, but there are still excellent and efficient routes to and from Scandinavia. Finnair has excellent tickets to various Scandinavian countries and they are usually under $600. What’s included? On an Economy Standard flight, you’ll need to pay for food (although a children’s meal is included); soft drinks, coffee, and tea are complimentary. Economy Standard passengers may check in 1 bag weighing up to 23 kg as well as a 10 kg carry on. WiFi is optional ($10USD), and there is an excellent selection of in-flight entertainment. There is also a USB hub to charge electronics.